No matter what they say, the best holiday gifts are ones where the thought and the actual gift count. Anyone can run out and buy the most popular gift in the store, but if there’s no thought behind it, what’s the point? Similarly, you could put a ton of love into knitting a sweater for your BFF, but if they are allergic to wool or it doesn’t fit than, news flash, it’s not a good gift. Simply stated, the holidays have become ridiculously stressful. Between the parties that force you to awkwardly schmooze with coworkers and make small talk with extended family, and the hustle of shopping, the spirit of the season seems to have waned. Remember when you could mold a clay pot at school or bake a dozen cookies and call it a day? Luckily, we are here to say that the season of giving doesn’t have to be a burden anymore. While there’s a fine line between an ordinary and extraordinary well thought out gift, we’ve made it easier to find a treasure despite individual budgets, time, and personalities. Knowing how to find the perfect gift for that special someone is not for the faint of heart these days, and we’ve put together a list of fun and humorous gifts that will make anyone from your brother-in-law to your neighbor (and everyone in between) think you’re the greatest person on the planet. Say goodbye to stress and anxiety and relax, we’ve totally got everyone on your list covered. Gift giving doesn’t have to be a drag! Hopefully this list gave you the inspiration you need to get out there and avoid the ordinary. 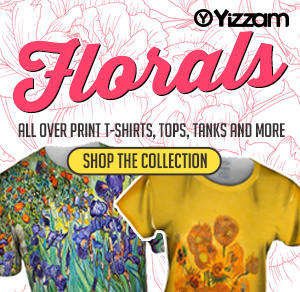 At Yizzam, we’re anything but, and we’ve got the all over prints to prove it. Shop Yizzam for everyone on your list this Black Friday! Anyone who says “adult-ing” is easy is totally lying. Paying bills, going to work, and eating vegetables on the daily is super hard. That’s why there are now stickers to reward that amazing adult in your life who is completely nailing it. 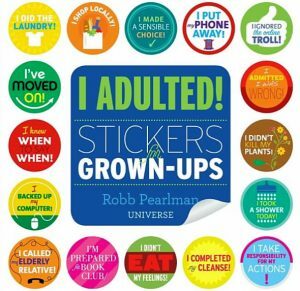 These stickers acknowledge everything from getting an oil change and eating a salad to folding laundry and doing jury duty. 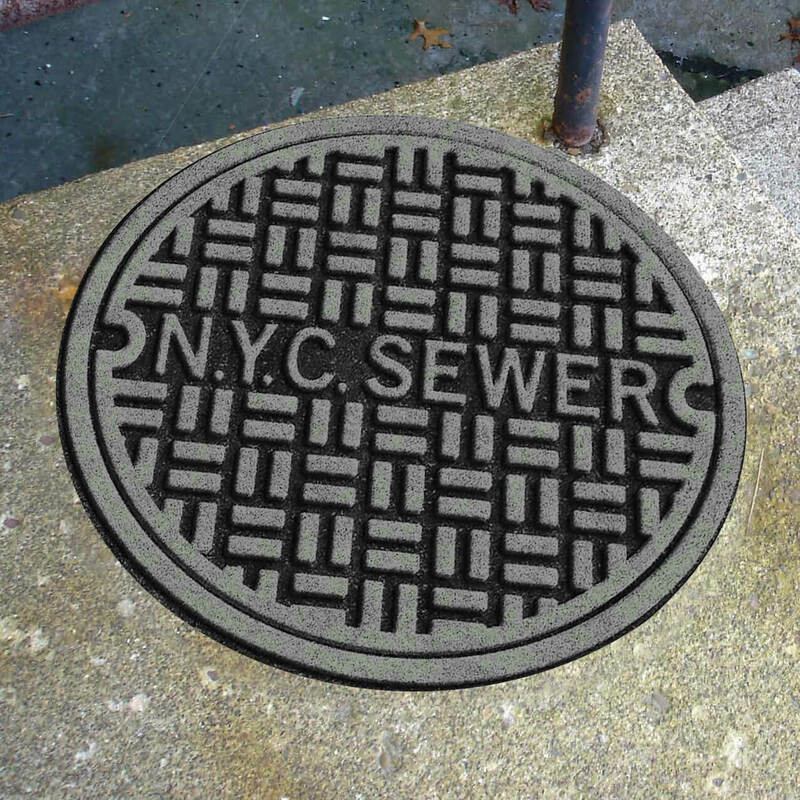 This is an especially great gift for someone who just moved out of their parents’ house. Roses are great, but have you tried beef jerky? Give a heartier gift this year – one that sticks to the ribs! This is the gift your favorite meat lover is craving. 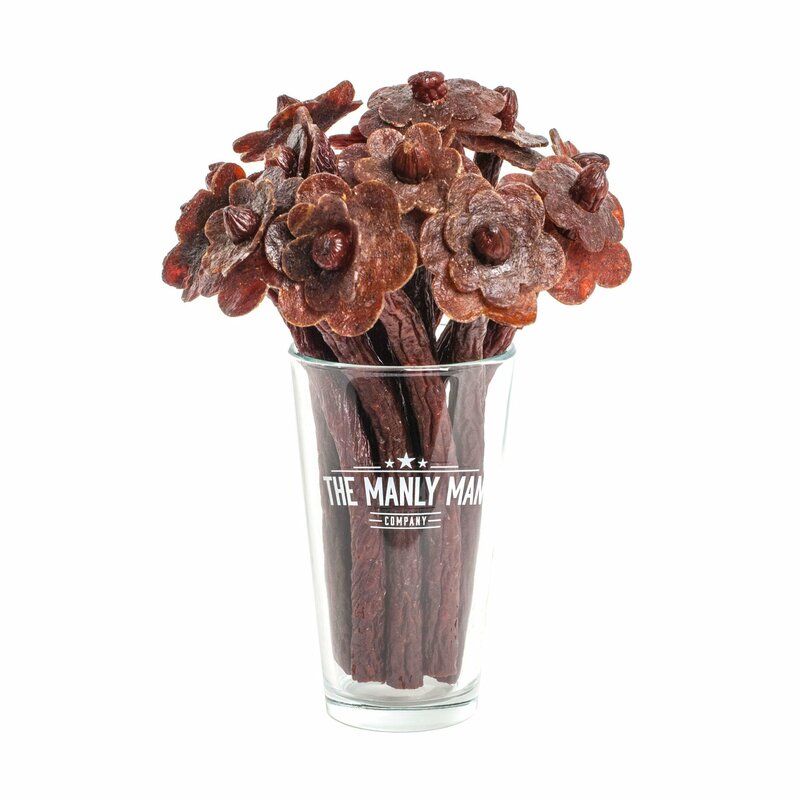 We’ve mentioned beef jerky before but never like this. Full of flavor and originality, kick things up a notch with a better bouquet that’s almost too pretty to eat (we said almost). For that special someone who loves goats, the only thing they will want this year besides an actual goat is a screaming goat figure. They’ll love keeping it on their desk, side table, or dashboard for inspiration and regular smiles. 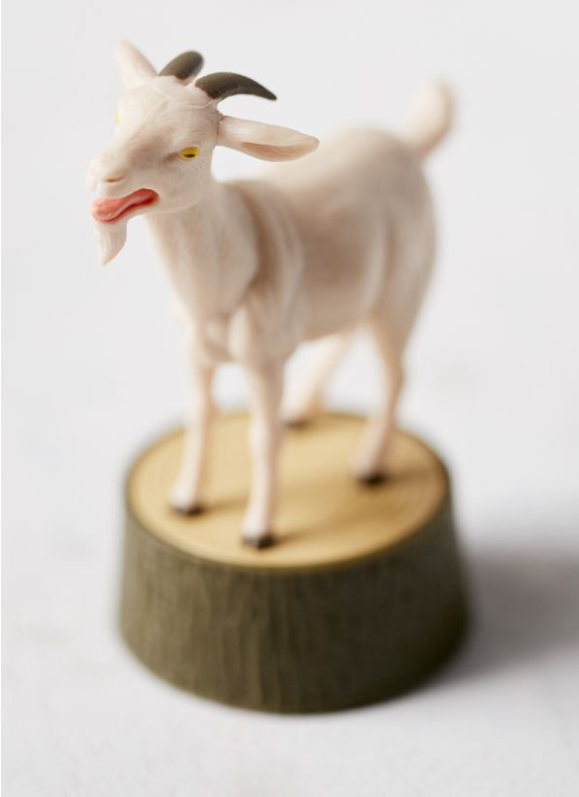 The screams on this goat figure are so realistic it’s sure to turn unsuspecting people into goat fans. These can be charming and useful depending on how you look at it. 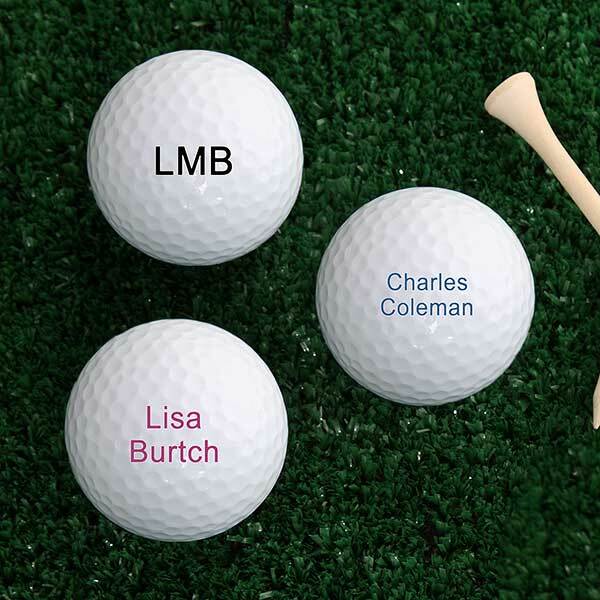 Put the face of loved ones on the balls so your favorite golfer can enjoy a display of pictures. They’ll never want to hit these! Or, you could go a different direction and personalize this gift a different way with pictures of bosses, ex-wives, and past clients that the recipient will want to send soaring! Let them take out their issues on these golf clubs and say “fore!” to their problems. Either way, the gift is a win-win. Do you know someone who’s been cheating at Monopoly for years? Now there’s a version of monopoly that encourages it! But watch out – this board game even includes handcuffs to make arrests. 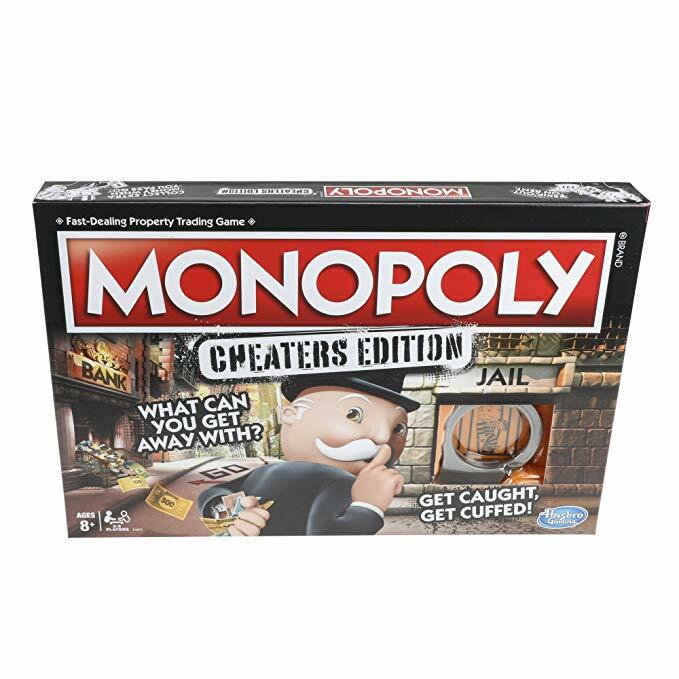 Give this game to your favorite cheater and then grab some eggnog for a round of the most fun version of Monopoly ever! You’ve never seen Monopoly like this before. Have a friend who likes to brown bag it? Are their coworkers always stealing their lunch and snacks? 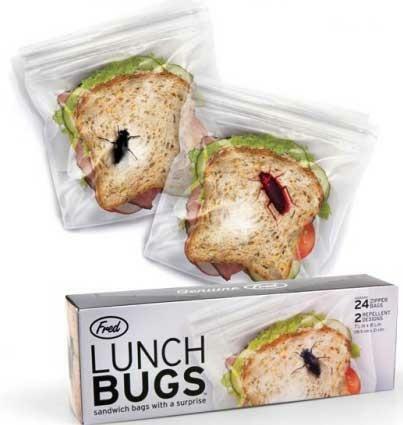 Help them out with these lunch bags! They have built in “cockroaches” to deter potential thieves. No one will want to take a sandwich when it looks like it’s covered in cockroaches! When you give this gift, you’re helping the recipient have peace of mind again. The cat lover in your life absolutely needs this gift! It turns their own finger into a cat paw so they can pet their furry babies in a way that only a real cat parent can! 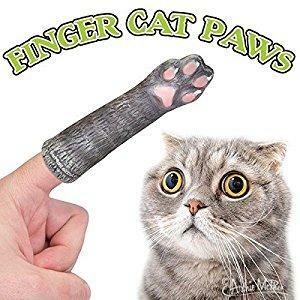 It goes right over the recipient’s finger so every time they want to cuddle and pet their sweet cat they can do it right. Have a friend that’s always on the phone? That’s b-a-n-a-n-a-s! 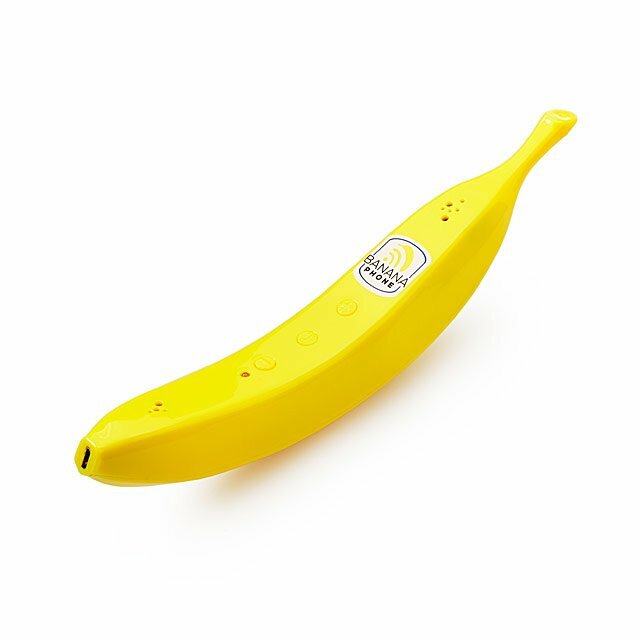 Make life a little more fun for them with this blue tooth banana phone! It works with any iPhone or Android phone for an absolutely a-peel-ing good time. With a phone like this, they’ll beg you to give them a ring! Say “good night” with the cutest night light around! 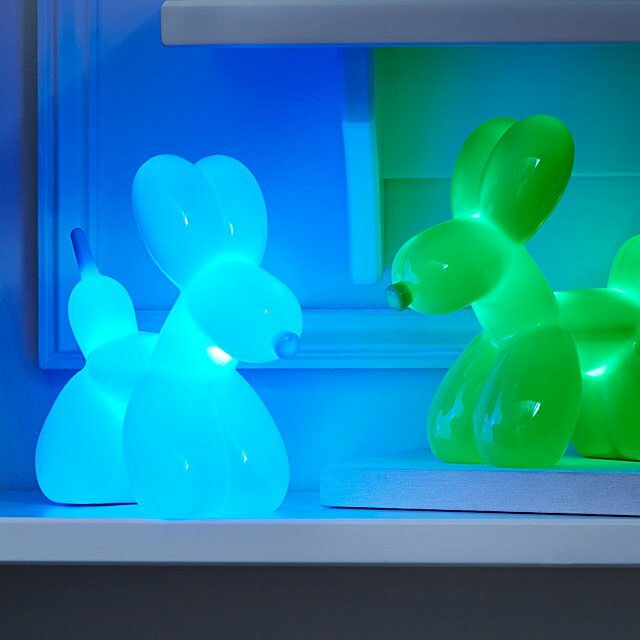 This Balloon dog night light is an ode to anyone who loves balloon animals. But all kidding aside, this night light adds the perfect amount of illumination for a soft glow in the middle of the night. Add a little whimsy to the gift giving tradition with the perfect night light. Have a yogi in your life? 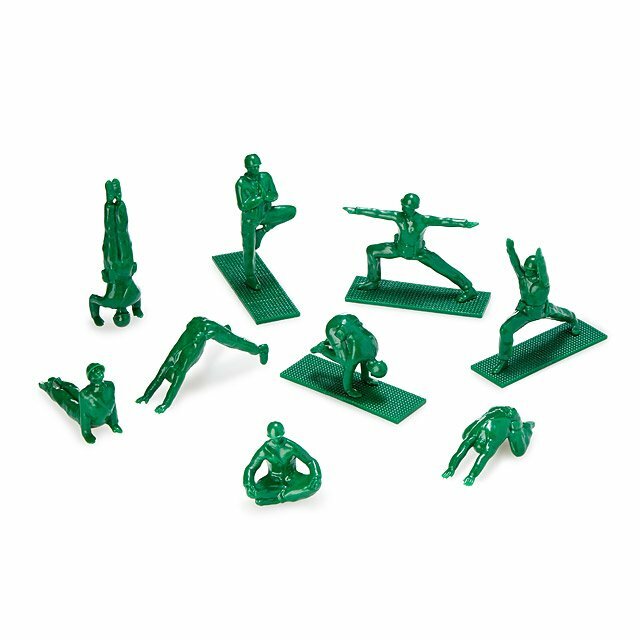 They will love these army men turned yogis to place around their studio or play with at their desk. From downward dog to Shavasana, these army men are next level adorable. Pro Tip: If you have several yogi friends, attach one army man along with a bow onto other gifts. Taco Tuesday just got that much better! 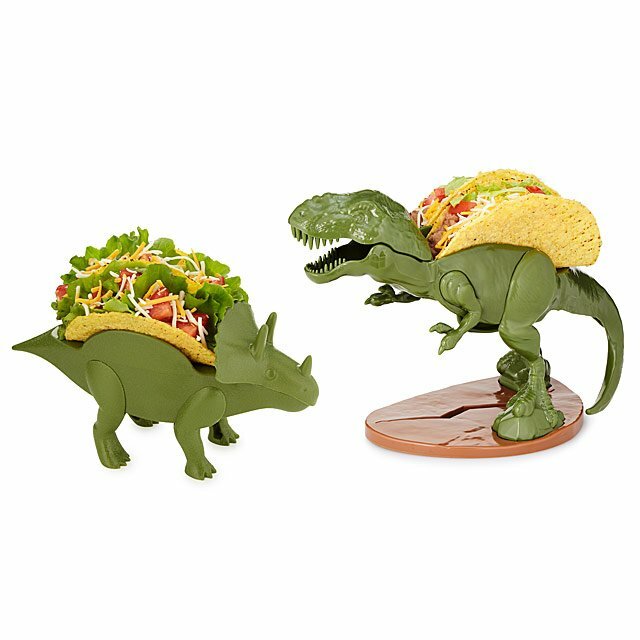 Take things to the next level by giving dinosaur taco holders to your favorite taco lover. As useful as they are adorable, these taco holders keep all the toppings in place so each delicious bite is as perfect as the next one. Add a roar to their Mexican fiesta with these dinosaur taco holders. Cheeseburgers are great, but so are hot beverages. Now your friends can think about their favorite meal as they enjoy their morning coffee. 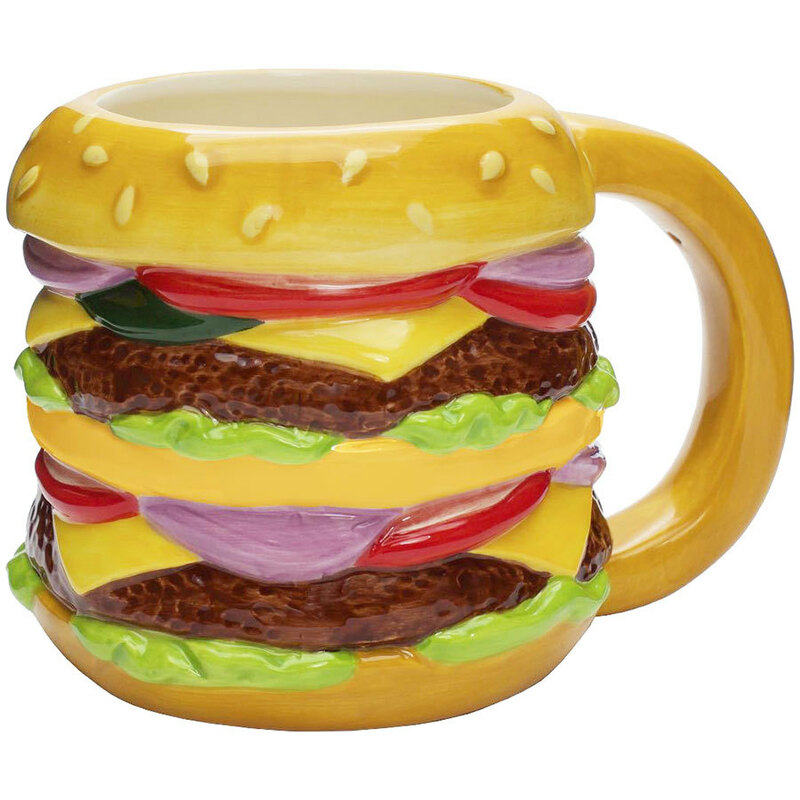 These realistic-looking cheeseburger mug is fun for the office. With such a unique look everyone will know who it belongs to! Your cheeseburger-loving friends or family member will treasure this one for years to come. Cold beverages work well in it, too. Move over peppermint, there’s a new kid in town! If you have a foodie friend that is hard to please, show up with this gift and they will be head over heels excited. This is nothing like they’ve seen before. 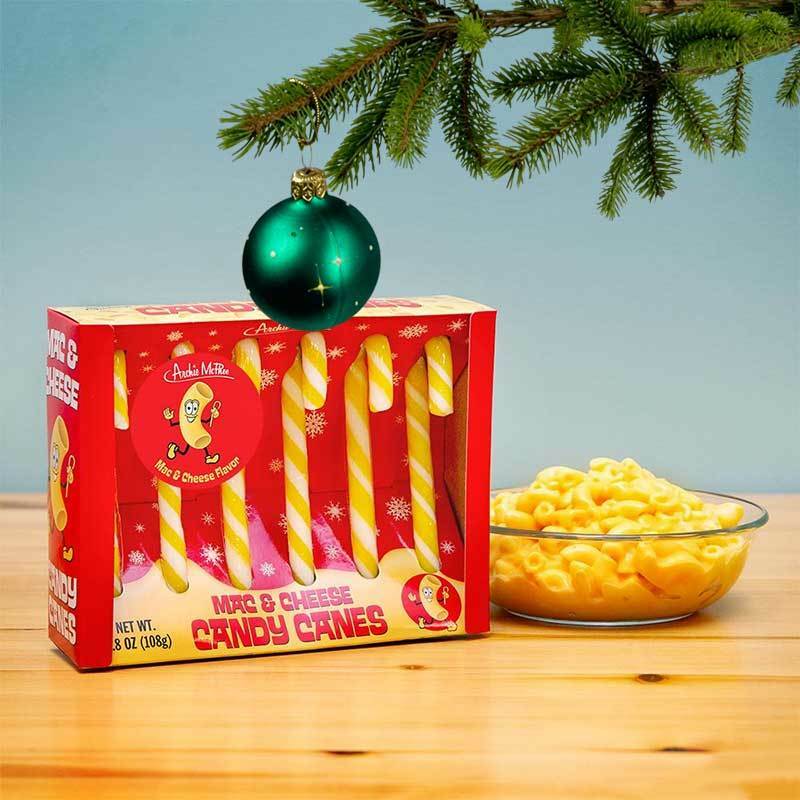 While they may be hesitant to try them at first, they will be pleasantly surprised at just how delicious these non-traditional candy canes really are! Deliciously unpredictable! Add a little unexpected aesthetic to the holidays with our hipster cat tratsophy all over print mens long sleeve t-shirt. From cat lovers to fashion forward trendsetters, this t-shirt is exactly what they want. 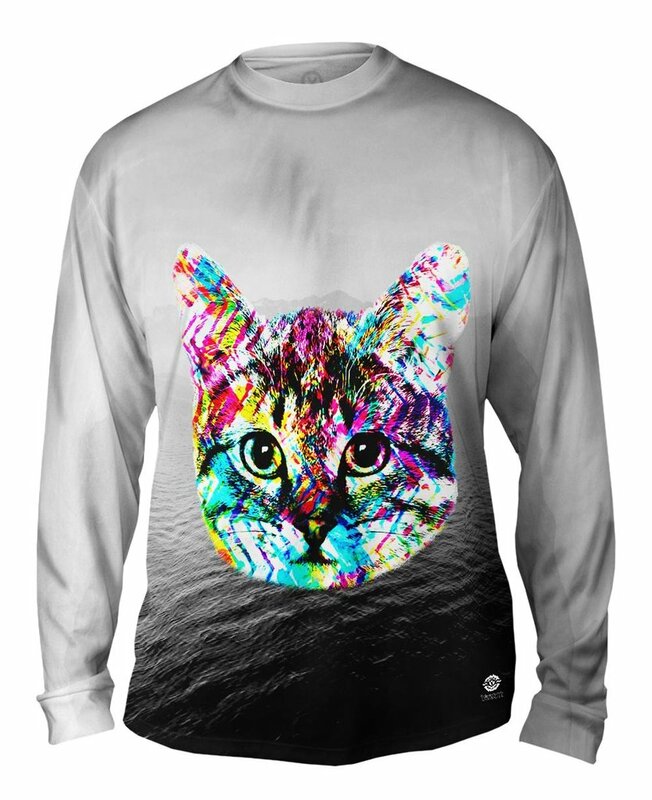 The bold, bright colors and hilarious, yet almost hypnotic cat on the front is both a conversation starter and fashion statement. Go big or go home, is what we always say about waffles. 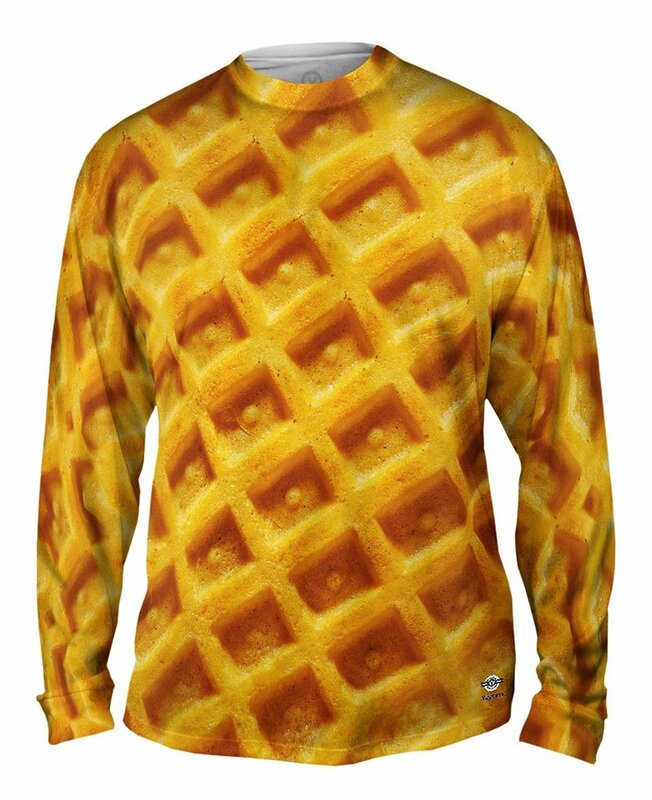 This larger-than-life print of everyone’s favorite breakfast food is the all over print t-shirt that they’ll be talking about until next year. Make the holidays truly exceptional by giving them the most unique gift under the tree.